It was after midnight when the guided-missile destroyer USS Oscar Austin eased into a narrow channel leading toward the Baltic Sea. Three other destroyers followed behind. The commander, John Cordle, an accomplished and experienced Navy captain, had gone 36 hours with no real sleep. Now, as the ship started its passage on a routine training mission, he swayed on his feet, gripping an overhead cable to keep himself upright and awake. The lights were dim, the ship silent. He snapped awake. The navigator was saying they had lost their position. In the haze of fatigue and confusion, Cordle ordered the ship to slow—forgetting the three other destroyers coming up fast behind him. A crewmember had to remind him to warn them off. He tells the story now to junior officers as a warning—a warning backed by years of RAND research that has shown, again and again, the staggering toll that poor sleep takes on our society. Researchers have found that our chronic sleep deprivation impacts everything from the quality of our work to the health and well-being of our children—even the basic readiness of our military. Our coffee-pounding, cell phone-buzzing, stay-up-late-and-get-up-early culture costs the American economy as much as $411 billion in lost productivity every year, a recent RAND study found. Those baggy eyes and foggy minds that corporate America so often treats like a badge of honor add up to around 1.2 million annual working days lost. Poor sleep has been linked to seven of the leading causes of death in the United States, including cardiovascular disease and diabetes. A recent study by the AAA auto club found that drivers who sleep just four or five hours a night have a crash rate more than five times higher than those who get seven hours. The International Agency for Research on Cancer has even named shift work, with its irregular overnight hours, a probable carcinogen. Her research has opened new windows onto the importance of sleep, not just as a biological necessity, but as a social one. Poor sleep, she has shown, is both a source and a sign of trouble—a clue to better understanding why people under stress, struggling, caught in bad relationships or impoverished neighborhoods, often have worse health. A better focus on sleep might save marriages, improve mortality rates—even bolster world economies. Troxel worked with a team of researchers from RAND Europe to show just how valuable a little more sleep can be. Their recent study demonstrated that quality sleep can predict workplace productivity—and our chronic lack of it acts as a drag on the entire economy. They also surveyed thousands of British workers to show how everyday life in our hurried, hassled, 9-to-5 world eats away at our bed time. People struggling with financial problems, for example, got ten minutes less sleep, on average, every night. Those facing unrealistic time pressures at work lost another eight minutes. A bad commute? More than 16 minutes. And, for comparison, having children: around four minutes. That may not sound like much, but the toll adds up fast. The researchers estimated that the United States loses between $280 billion and $411 billion every year to the absenteeism, presenteeism, and outright mortality caused by sleep deprivation. Japan, with its smaller economy, loses up to $138 billion, followed by Germany (up to $60 billion), the United Kingdom (up to $50 billion), and Canada (up to $21 billion). And the fix doesn't require that we all unplug and check out at 8 p.m. If every worker who gets less than six hours of sleep managed to get six or seven hours instead, that would boost the American economy by around $226 billion every year. Seven hours. That's what the research says we should all get, bare minimum, every night. And the reality is that more than a third of us don't even get that much. Here are seven tips from RAND experts to help you get your seven hours. Set a Consistent Wake-Up Time: Even oversleeping on the weekends has been linked to potentially harmful disruptions in sleep patterns. Limit Time Spent in Bed on Activities Other Than Sleeping: You want to create a strong learned association between bed and sleep—not television or work. Do Not Stay in Bed Unless Asleep: Do something distracting but not overly stimulating if you're having trouble falling asleep. 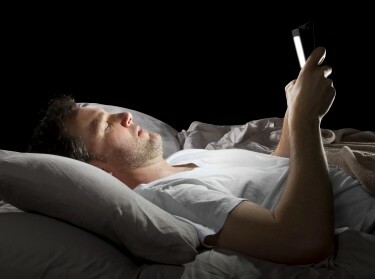 Limit the Use of Electronic Devices Before Bedtime: Screen time may suppress levels of melatonin, a crucial sleep hormone. Limit the Consumption of Substances That May Impair Sleep Quality: This means caffeine, of course, but also alcohol and nicotine. Address Stressful Issues Long Before Bedtime: One study suggested setting some time aside before bed to address stressful or emotional issues. Exercise: Physical activity is consistently associated with better sleep outcomes. The researchers identified one other factor dragging down economic productivity: the skills and knowledge that teenagers leave on the classroom table because they're too tired to learn. This has become a focus of Troxel's research in recent years, one that she sees play out every morning when she goes to shake her adolescent son out of bed. Teenagers are wired to go to sleep and wake up later than adults; changes in their brain chemistry set their internal clocks back around two hours. 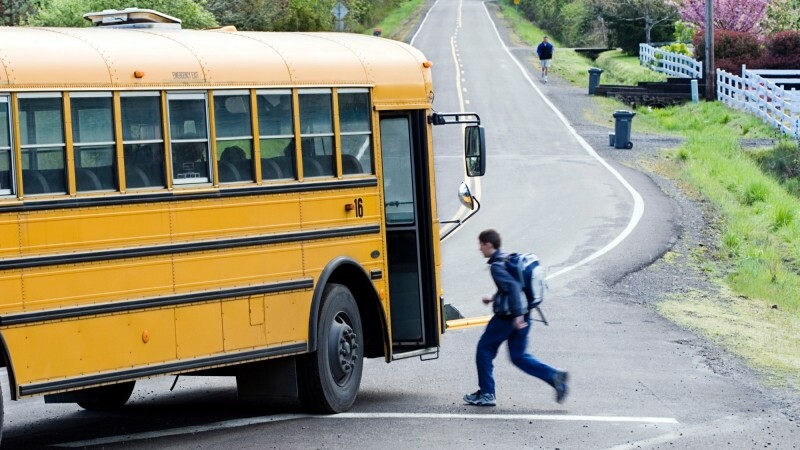 Waking them at 6 a.m. for an early class, Troxel says, is the same as waking an adult at 4 a.m. Research has shown that giving high-school students an extra hour of sleep in the morning can improve their average grades by nearly 8 percent. But the sleep toll for teenagers goes far beyond concentration problems in those early-morning classes. Troxel's research has shown that teens who have trouble sleeping are more likely to use alcohol or marijuana. 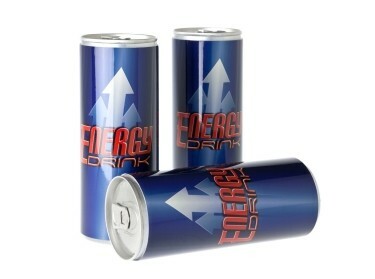 Not surprisingly, she also has shown that around one in five teens slugs energy drinks to stay awake, a habit linked to even worse sleep. 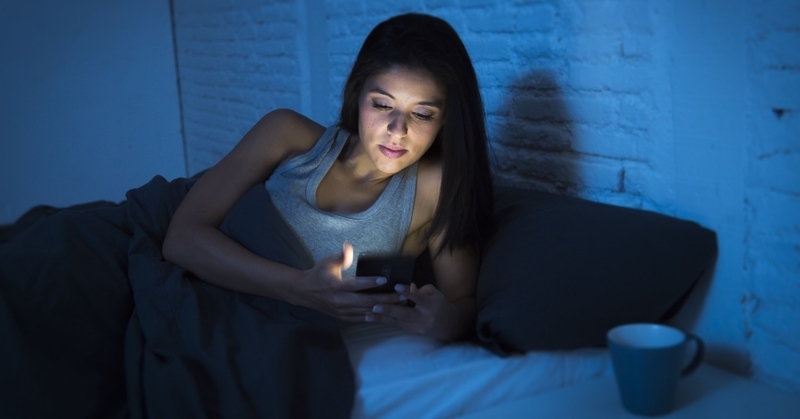 Sleep deprivation, the renowned World War II Army Major General Aubrey Newman once said, works like termites in a house—“gnawing quietly and unseen.” The quote opens a RAND report that showed how pervasive sleep problems are in the military, and how damaging. Troxel and colleagues found that nearly a third of all service members get five hours of sleep a night or less. Those who had experienced combat were especially likely to report poor sleep and frequent nightmares, but even service members who had never deployed reported higher rates of sleep problems. 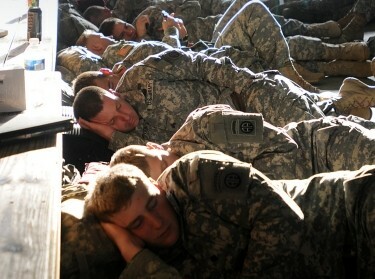 Poor sleep, the researchers concluded, has become hardwired into the very culture of the military. 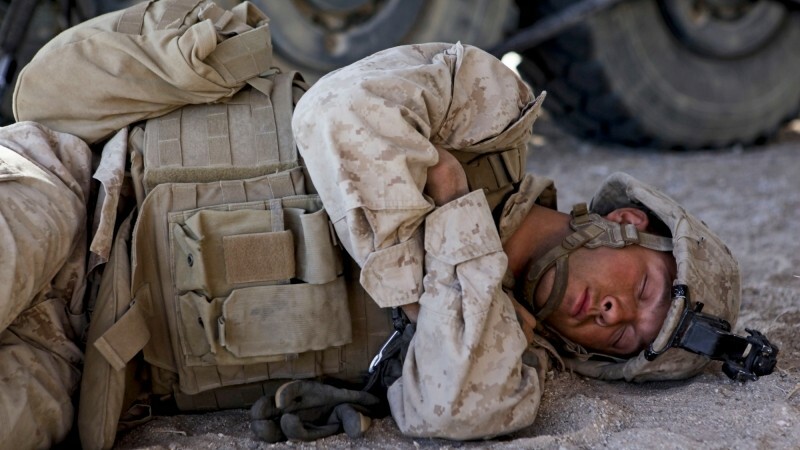 Poor sleep has become hardwired into the very culture of the military. More than half of the hundreds of service members the researchers surveyed said sleep problems interfere with their daily work. Sleep problems also were associated with poor physical health, higher rates of depression and post-traumatic stress, and lower perceptions of unit readiness. But the military, unlike other major organizations, has taken steps to educate its rank and file about the importance of getting a good night's sleep. Recent Army guidelines elevate sleep to the same level as good nutrition and exercise as a source of health. And the Navy has been experimenting for years with its watch schedules, trying to make shipboard life more responsive to the circadian needs of its sailors. Subscribe for updates on the latest issue. One of the most visible and outspoken champions of that effort has been a destroyer captain who knows all too well what can go wrong when sleep is treated like a luxury. 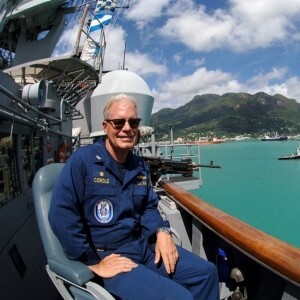 John Cordle, now retired from the Navy, spent his career after that bleary night passage to the Baltic on the Oscar Austin trying to reconfigure ship schedules to get his crewmembers better sleep. Working with naval researchers, he helped pioneer a watch order with longer and more reliable rest periods that has become standard on U.S. submarines and a recommended option for surface ships. The Naval Postgraduate School now devotes an entire website to their work on sleep and crew endurance. Wendy M. Troxel @wendytroxel, Brett Ewing, et al. Wendy M. Troxel @wendytroxel, Joan S. Tucker, et al. Previous Blog PostU.S. Should Test Russia on Islamic StateNext Blog PostWhat Data Is the Government Keeping About You?